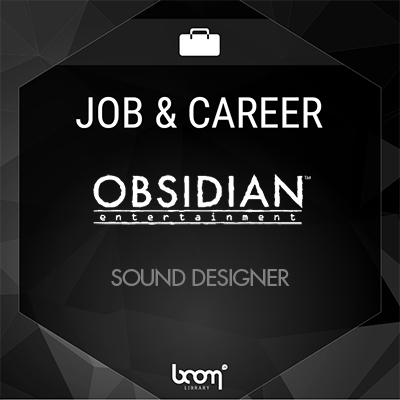 Obsidian Entertainment Inc is looking for a creative Sound Designer with the capability to design and implement assets, manage entire projects, and specialize in key audio systems. Over the course of our 15 years in the industry, Obsidian has sold millions of units, won a ton of awards, and – above all – they’ve always put our players first in every decision they’ve made. Their titles require rich and detailed soundscapes that tell a story as well as empower and move the player. That’s where you come in. The Sound Designer will work closely with the audio and development teams to plan, design, and integrate high quality, engaging sound effects from the conceptual stage all the way through to polished engine integration on their current project, The Outer Worlds. Please put “Sound Designer” in the subject line.